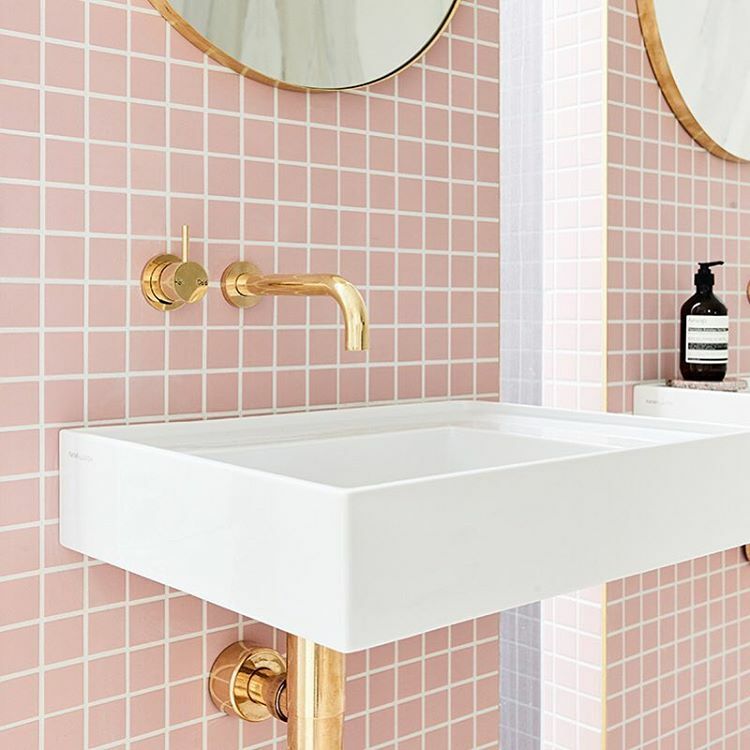 It’s a good time to be choosing tiles for your bathroom and kitchen because more than ever the aesthetic outcome of these interior spaces is all about the tiles, writes Interior Designer and former The Block TV contestant, Carlene Duffy. The good news for homeowners is that supply is meeting demand and there is a fabulous range of tiles on the market to satisfy our creativity. You will have heard the theory that you should use large tiles to make your space appear larger. Well, this notion is a little bit outdated. To be honest, if your bathroom layout is designed in the most effective way, do you really need your bathroom to appear bigger? Rather, your aim should be to create interest and character. 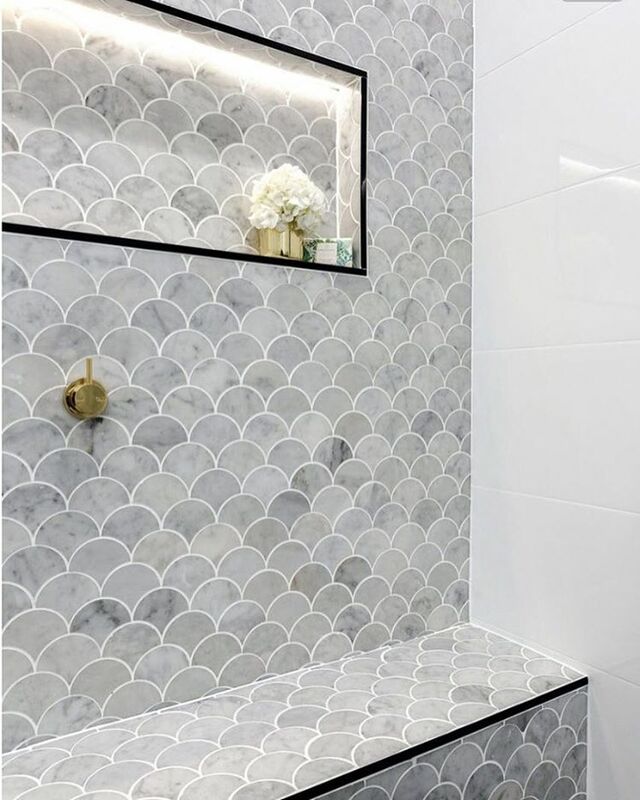 Mosaics are a perfect way to achieve this. Gone is the time that we only see mosaics used as feature tiles or trims. Mosaic tiles are now being used to cover the span of all walls and floors and with sensational results. My go-to’s are penny rounds and square mosaics for their timelessness but the world is your oyster here. Hexagonal, herringbone, fish scale or natural stone tiles - we really are spoilt for choice. I've mentioned before that marble has been making waves in bathrooms and kitchens over recent years. You don’t need to purchase slabs of stone because tile suppliers are responding to market demand with a huge range of marble tiles on offer, both the real deal and in marble looks. You can purchase marble tiles in huge 1200mmx900mm sizes right down to mosaics a big range of mosaics. Terrazzo, granite, and bluestone are also popular natural stone choices for their timeless quality. Not ready to renovate - just need a bathroom refresh? Read more of Carlene's tips here. 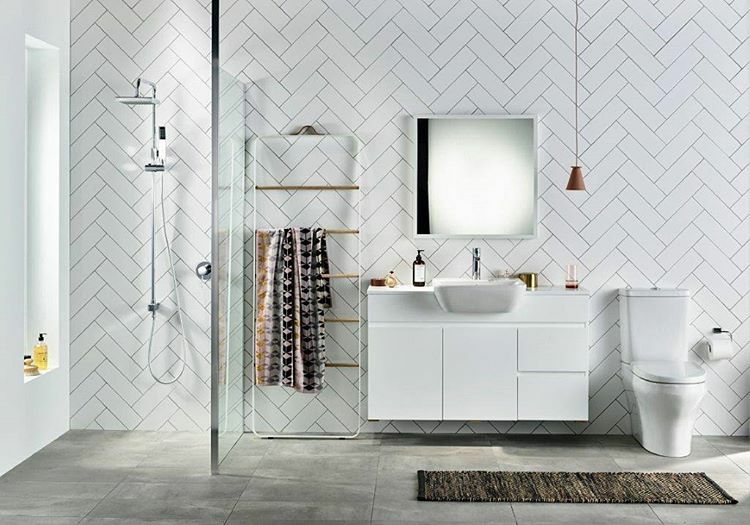 Subway tiles have long been a staple on bathroom walls and kitchen splashbacks - but where they were once associated with classical aesthetics, subway tiles are now being seen in modern design and in a whole range of dimensions, finishes and colours. Lay them in the traditional brick pattern or opt for a more modern result by laying subway tiles in a herringbone, stacked or windmill pattern. 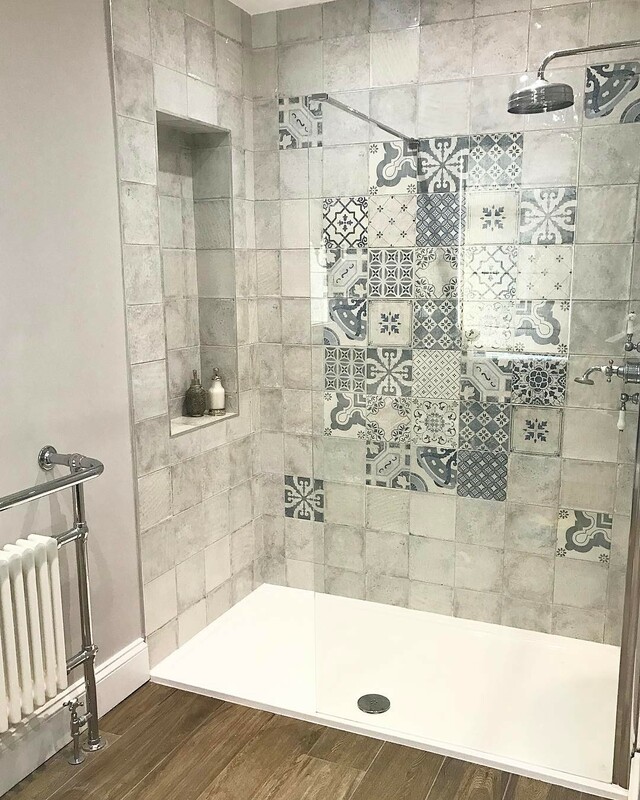 By using a highly contrasting grout colour you can really make the most of the pattern but if you are merely trying to achieve some texture then better to opt for a less contrasting grout. 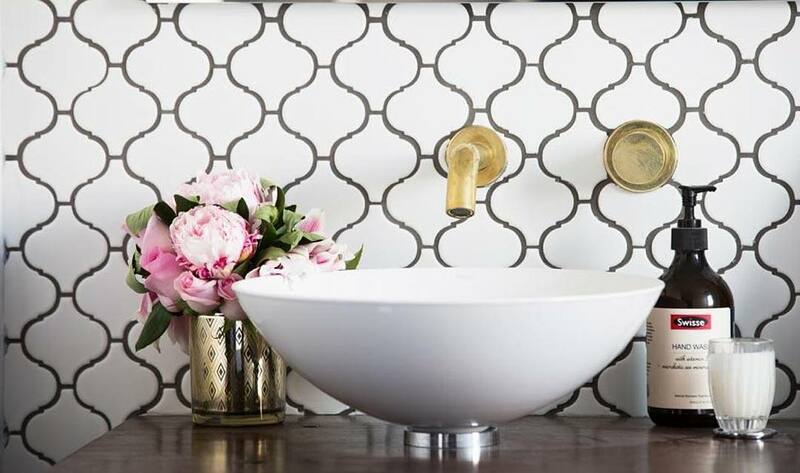 In recent years, Morocco has been influencing interiors in many aspects and when it comes to tiles, Moroccan tiles are the ultimate way to make a big impact in your bathroom or kitchen. The detailed and intricate colours and patterns indicate confidence in design. I prefer them on bathroom floors than walls but they do make an ideal show-stopping addition to a kitchen in the form of a splashback. While white will always stand the test of time, homeowners are showing more confidence in their interiors with the use of colour and the choice of coloured tiles available is making this easier to do. I particularly love a coloured subway tile - the simplicity of the tile shape means the look will never be too loud. Mosaic tiles are also an ideal way to get some colour in your bathroom or kitchen. Again, it’s about committing to the space, so cover entire walls and even multiple walls to create impact. Choosing tiles is never usually plain sailing because it’s costly to get wrong. So first things first, do your homework which means looking at A LOT of bathroom design imagery and of course, you can always consult an interior professional if you need a confidence boost in your tile trends 2017 decisions. Feeling inspired? Discover if Interior Design is the right career path for you - read the Open Colleges' Interior Design and Decoration career advice series with top industry experts. Otherwise, download a Diploma of Interior Design course guide via the form below.